In desolate times, when religion is being misinterpreted and misused to disrupt peace and inflict misery upon others, a group of steadfast generous Sikhs instills our faith in humanity. The Sikh Langar is traditionally a meal, open to all regardless of socio-economic background, provided free of cost. 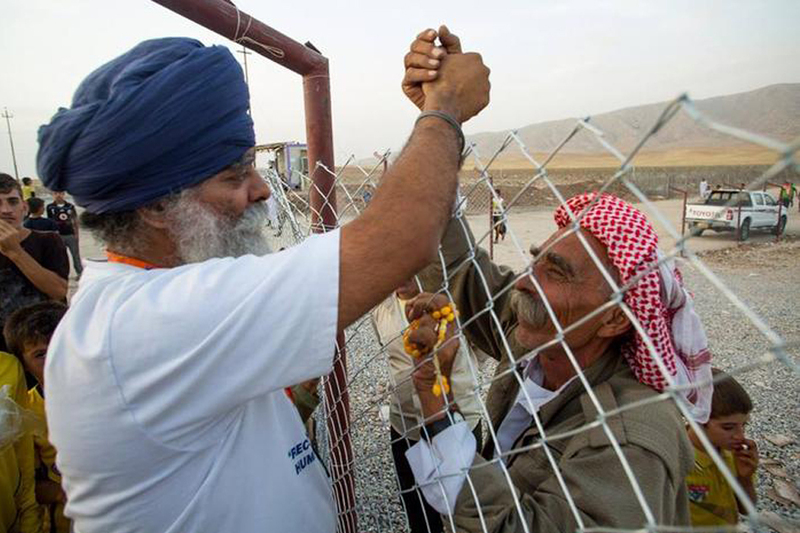 An extension of the humanitarian UK based Khalsa Group, called the Khalsa Aid, has decided to take the langar to Syria, one of the most violent, unstable zones in the world today, in order to relieve helpless refugees of hunger. Although they initially started with proper kitchen cooked meals, due to the inadequacy of supplies, they have now limited themselves to baked food like bread. Located 10 km from the Syrian border, accessible to the refugees, the Langar Aid has been at work for over a year now, feeding anyone in need. Over the past year, the group has provided fresh bread to about 14,000 to 16,000 refugees per day.The organistation is supported in the form of machinery by the Khalsa Group, and in terms of free power supply by the local government of Duhok. Help has also been received from Greece and Serbia.